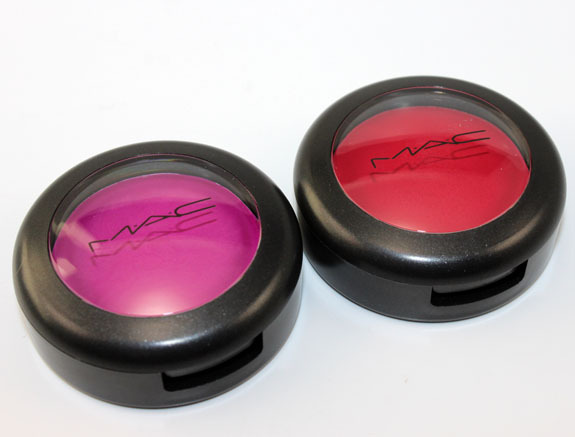 It’s been a serious flurry of MAC-ness lately hasn’t it? Well I’ve got one more collection for ya for 2010! 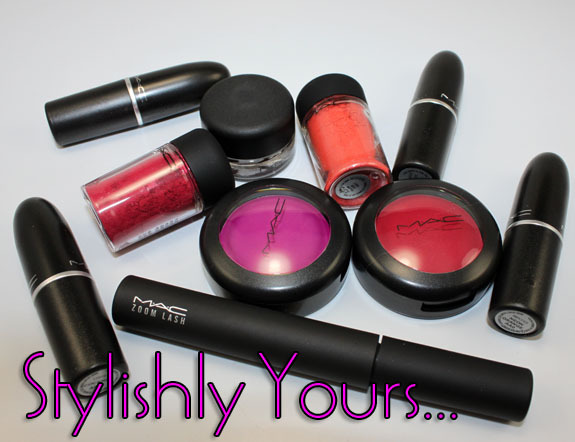 MAC Stylishly Yours is a bright colorful collection created in order to give some “oopmh” into your modern life. 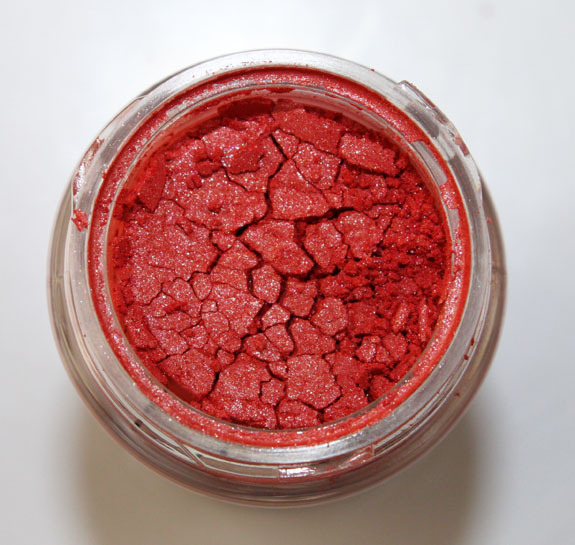 While the colors look extremely bright and perhaps a little extreme in the containers, I found most of them surprisingly wearable and more subdued on the skin. 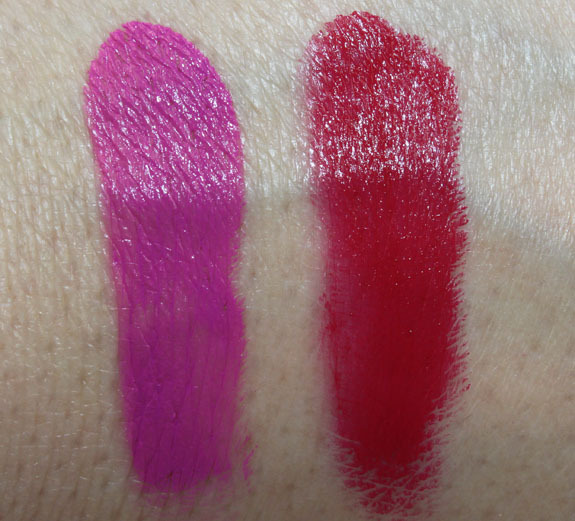 These four lipsticks looked insanely bright and neon in the tubes so I was a little apprehensive about them. In fact the one I was the most nervous about was Style Curve, which turned out to be the least crazy of them all! Cockney and Style Curve are both a bit sheer and you have to work a bit to get the color more opaque. 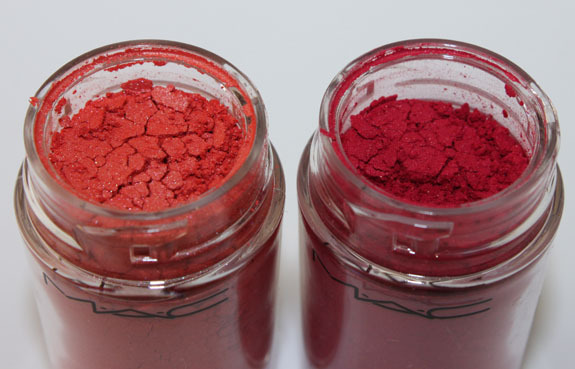 Both are gorgeous colors and super wearable. Cockney is described as being a yellow red, but it worked great on my skin tone. Something New might be my new favorite lipstick. It’s the ultimate shiny, creamy, bright yet not overly bright, blue-based pink. Two HUGE thumbs up! Neon Orange is exactly that: NEON. 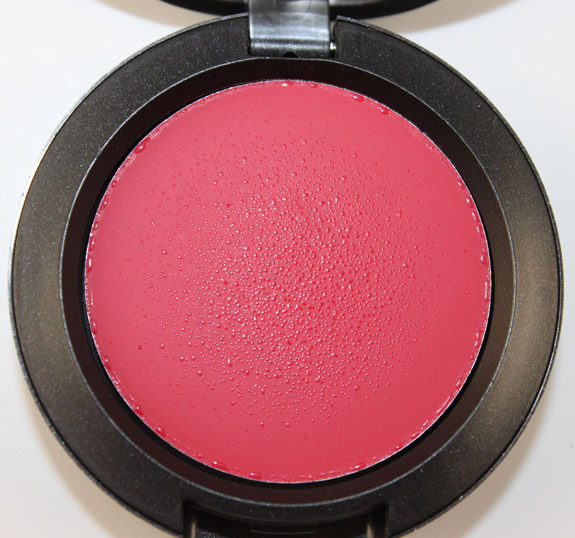 It’s extremely bright and creamy and really pretty despite the “glow”! 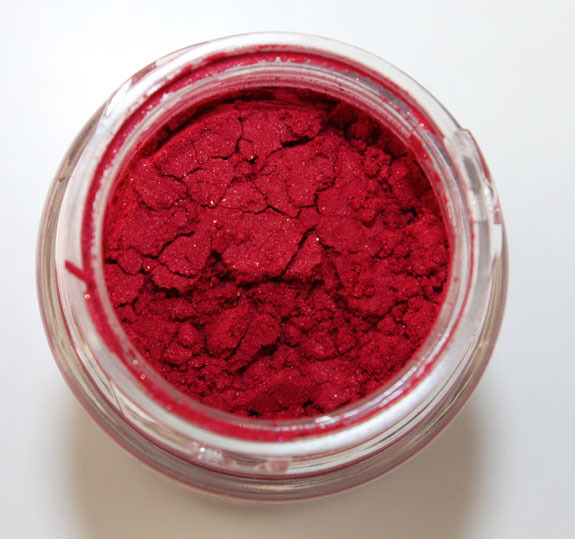 Even the pigments were not as crazy bright as I had expected after I swatched them. Follow Your Fancy is actually really kind of subdued and wearable. It’s a great coral color. New Fixation is a really pretty subdued cherry red/pink. Those who want to work a little red into a look without looking like Ronald McDonald’s hair, might find something like this a little easier to work with. Can I just first say *WOW*. 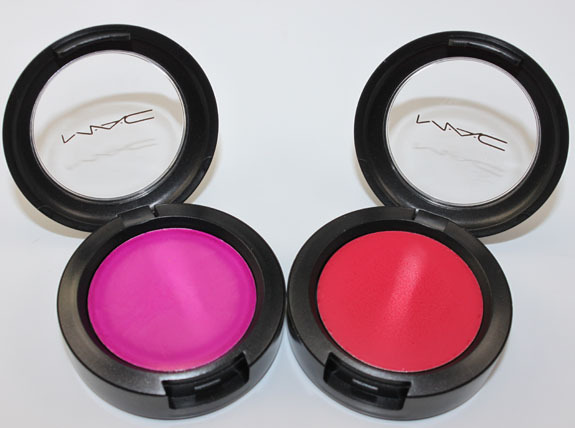 These blew my mind, they are SO amazingly colorful, soft, smooth, pigmented and gorgeous. 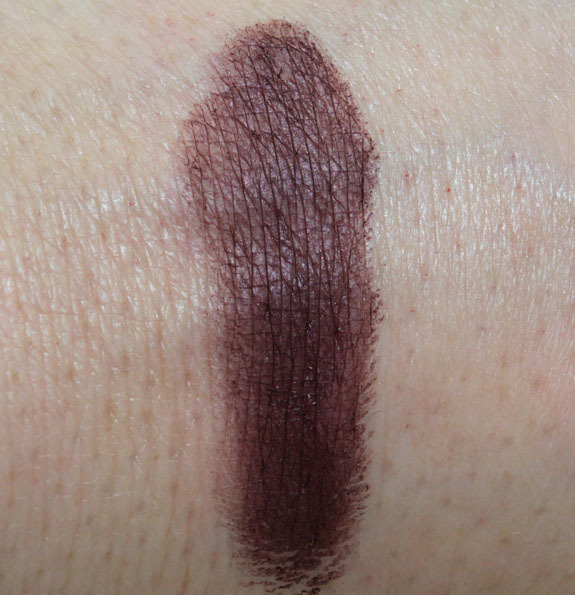 This swatch photos is just one very slight swipe across the color and you get *this* much impact! I am extremely impressed with these and these actually do come off a lot more true to what you would expect from what they look like inside the packaging. Very bright, but again wearable. 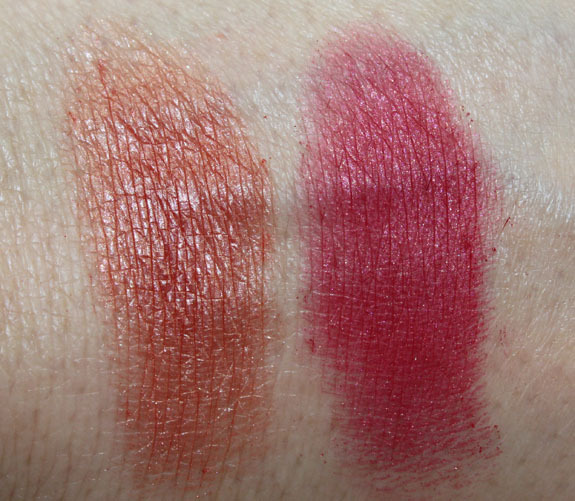 You can wear these colors on either the lips or cheeks, but not eyes. 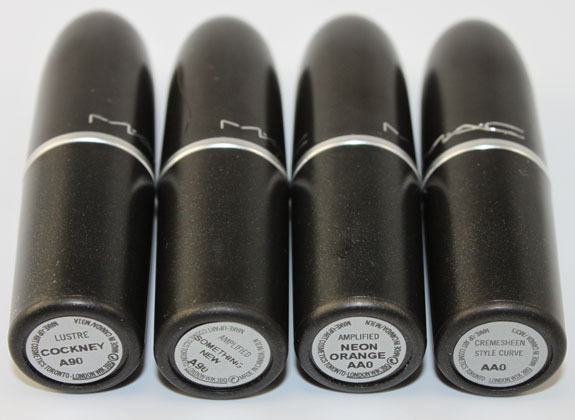 Some of the Cream Colour Base’s cannot be worn around the eyes or lips, you have to check the insert of each one to see what areas it is safe for. For my swatches I just applied them with my finger, but if I was going out I would probably use a brush. They are so creamy and pigmented you only need a bit. They can definitely stain if you wear them for longer than a couple minutes. They feel very creamy, like a lip balm on, with no stickiness at all. 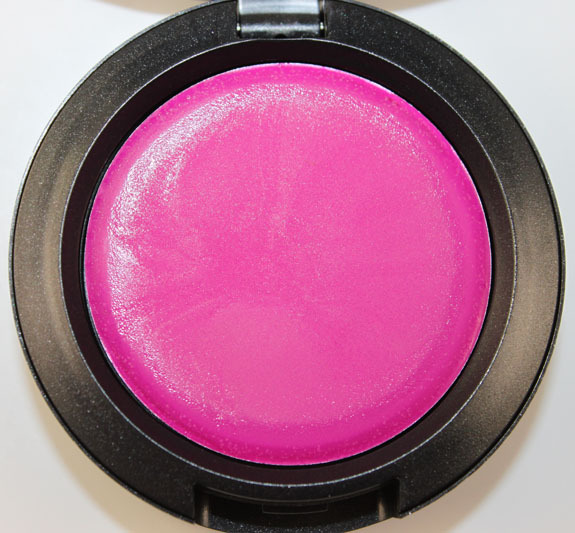 Madly Magenta is an amazing pink/purple, again blue-based and perfectly suited to fair skin tones. 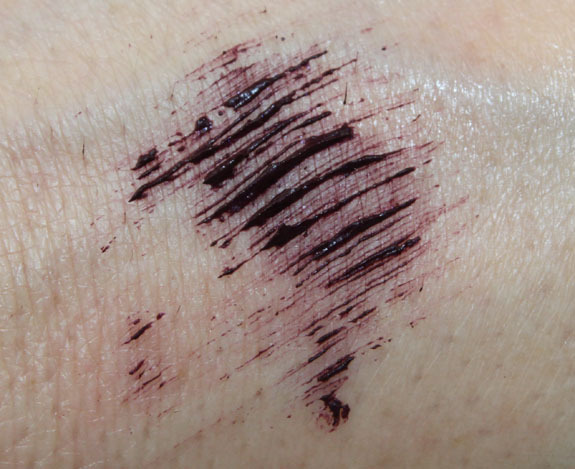 Blackened Burgundy is a really dark burgundy purple color. 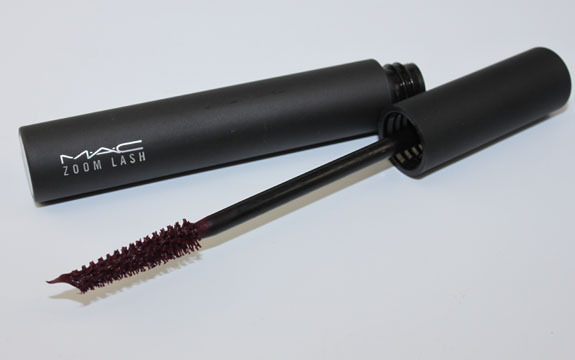 I happen to really like the regular black Zoom Lash, so I assumed I would like this as well. I did. The color for me is dark enough to wear on it’s own, which is rare for me. Normally if wearing a colored mascara I use black first because I like my lashes really dark. This was dark enough to use alone, though you can’t really see the color unless in the sunlight. 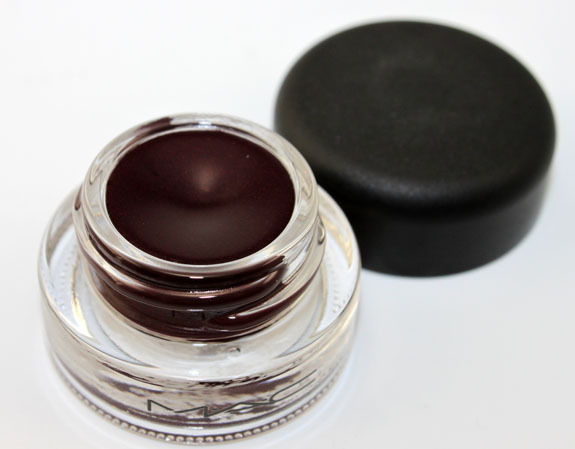 Dark Diversion is a very dark blackened plum color. I am an avid Blacktrack user, and found this one to be really great also. It’s nice and dark, but doesn’t look black or brown, so it works well on blue eyes. I always find these plum colors make my blue eyes pop a little. This collection will be available December 26th in North America and in January Internationally. Have a great Christmas, I hope you get everything you asked for! I have been looking for a plum color and I really want that dark diversion! You look really great with in these colors, but the reason I’m commenting is to compliment your eyes – they look deep grey on my screen and not blue like you say, and look amazing. The more postings I see on the Cream Color Bases – the more I want to try them. My wallet is going to start putting a firewall on my blogreader. Hi, these are great! Did you get any of the beauty powder? I have never used it and wonder how it looks on, I am very interested in it but know nothing about it. Merry Christmas! No they didn’t send me any but I might pick up some myself! 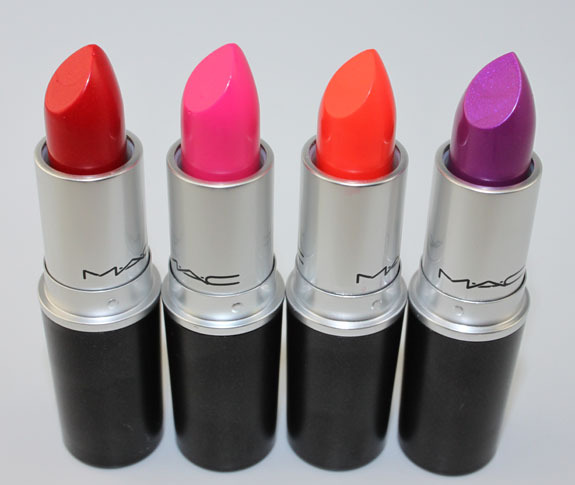 The Neon Orange lipstick is amazing! I bet you pull it off better than I do! Hi … I’m liking the movie star red lip color, style curve, and the burgundy mascara! All if these I wouldn’t have given a second look without your review. I think I’m going to branch out avlittle with color in 2011! Merry Christmas ! I would like to second Kristina’s comment, on their own, I would have just been like “those are really bright! not for me!” and just moved on, but actually seeing them on someone with fair skin, like me, was tremendously helpful. I’m definite going to get up the nerve to go in and try some of these on when they are available. This is a really pretty collection. I was just interested in the Fluidline. I like the lipsticks. Have a very Merry Christmas Kelly. Enjoy your holidays with your husband and furry family. 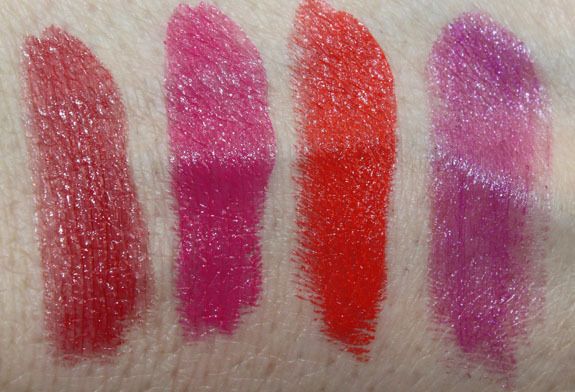 Oh Kelly thank you for swatches all of these lipsticks. I love to see how they look not only on the back on the hand but also on lips! 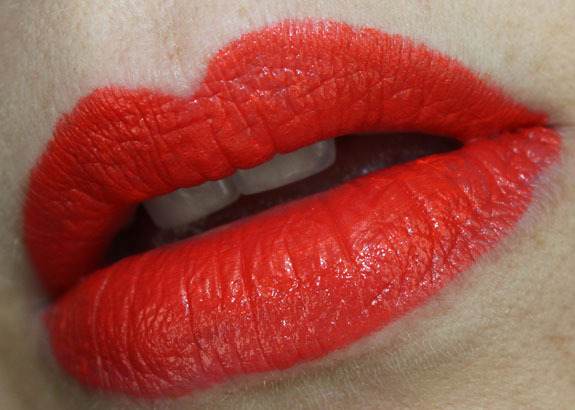 Bright lips suits you so well, I need to get some of these! wow! 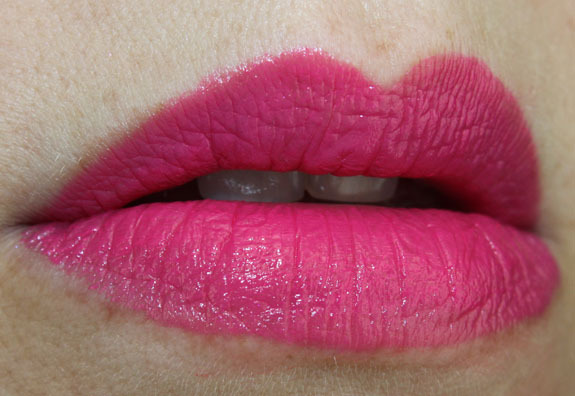 Madly Magenta looks awesome on lips! wants!!! Thanks for these great swatch pics! I agree – this collex looks like it was made for your coloring! 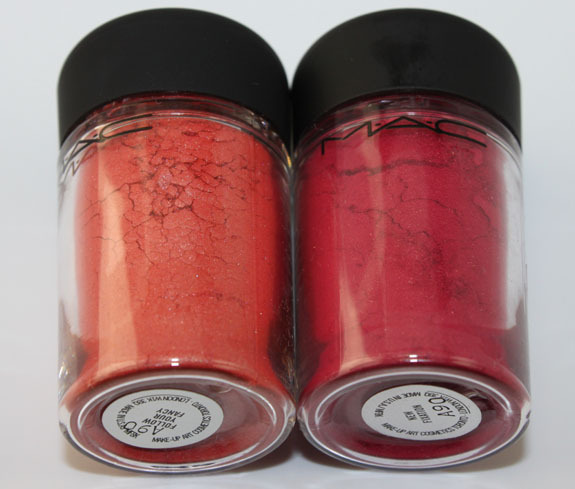 Which red do you prefer on your lips: Movie star or Cockney? I like Movie Star a little better because it’s more blue-based. Each and every one of those colors is fabulous! And you’re right, they ARE perfect for you. i really love cockney on ya! i wish i had a cockney accent, so fun!